More and more, the world belongs to Millennials. The generation born between the early 1980s and the 2000s is now the largest and most diverse American generation – yes, bigger than the Boom – and Millennials are projected to spend $200 billion this year. People are endlessly fascinated by their traits, values, work habits and shopping patterns. At the same time, according to research by Conde Nast and Goldman Sachs, Millennials are doing more and more of their shopping, not just online, but through mobile devices. That’s no surprise, given the technology-rich world Millennials grew up in. They’re used to texting, instant-messaging, Facebooking, Tweeting and Snapchatting – all at once. So if you’re a brick-and-mortar brand looking to make a Millennial your customer — and keep them engaged — you need to create an experience they can’t get through the screen of a phone. Millennials aren’t moved by a static display window; they seek animation and connection. They need sight, touch, sound and sense, allowing them to interact with more than a finger on glass. To pull these customers away from their devices and into a store, retailers need to create a sensory experience that speaks to – not at – this dynamic, highly-stimulated generation. How do you know, from a design perspective, that you’ve accomplished this goal? Here’s one example: A shopper walking into H&M on 5th Avenue at 48th Street in Manhattan is immersed in a happening lifestyle. Lounge-like installations beckon shoppers to gather and socialize. These public spaces create a sense of place and an infectious vibe, aimed at grabbing shoppers for whom department stores and malls are no longer relevant. This generation has a short attention span, but the bright lights and sounds of upbeat music complement fast-moving “fast fashion” at its finest. Urban Outfitters’ Space Ninety 8 in Williamsburg, Brooklyn, also speaks eloquently to Millennials. The first floor is a flexible retail gallery, continually changing and carefully curated. The first time I visited, to my left was a bike shop with cutting-edge rides, hip accessories and even repair kits. A short glance away was a beautiful army cot, priced at around $400, which would work well in an apartment. On my right were items from Brooklyn craftsmen and old vinyl records. Of course, when I came back, not even a month later, the layout had totally changed. Anthropologie’s stores have an entirely different feel, but are similarly laser-focused on Millennial shoppers. The store’s visual merchandisers often have art degrees or are studying fine arts. Items are not displayed on the walls; they’re artfully arranged, creating a modern bazaar. Rich materials, forms and colors set a tone, complementing the handmade pieces, apparel and housewares and tying together the brand’s story. Each store, while maintaining a consistent brand vision, is also unique to its neighborhood. This tactile experience, the antithesis of the digital world, draws Millennial shoppers back to a time of simplicity and discovery. 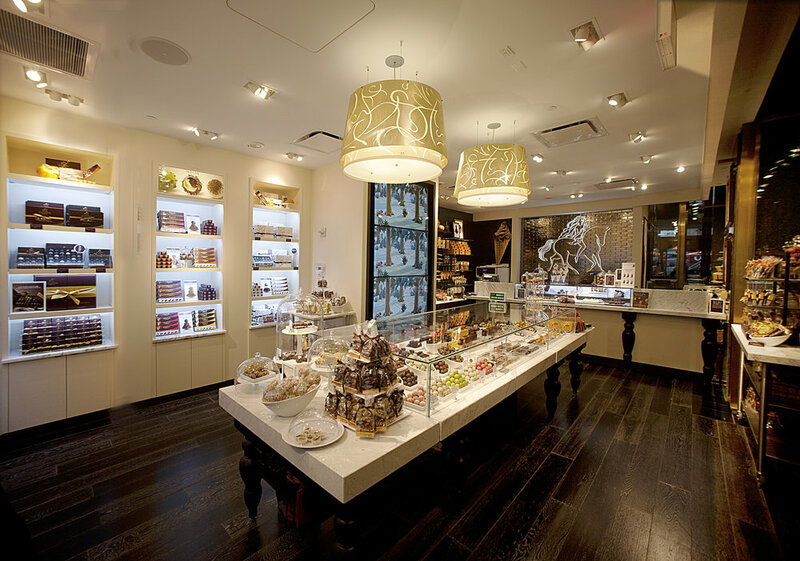 Another example of live experience is Godiva, which brings a theatrical element to its retail locations. At Godiva’s MetLife store in Manhattan, passers-by can gaze longingly through the store’s large windows at fresh strawberries, dried fruit and biscuits being dipped in vats of melted chocolate. The sight draws people to the happy indulgence of shopping there. Inside, technological touches allow the menu to be refreshed constantly and enable the shopper to choose the freshest, most local offerings. All this takes place in a backdrop of rich textures, sharp color contrasts and “touch me” materials – all things Millennial shoppers crave. Though the aesthetics or brand vision of each of these examples may vary, they all have one very important thing in common: they tap into a Millennial’s need for live, sensory input. With a little extra thought and design consideration, today’s retailers can meet this group’s needs well – both now and into the future.